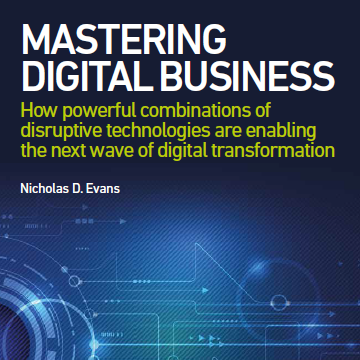 While there are perennial capabilities and skills that are required for business success – investment, leadership, culture, change management, governance – digital transformation requires new capabilities that organizations need to acquire and develop mastery around. Digital strategy. As you progress from strategy to execution, it’s important for the digital strategy to set the stake in the ground in terms of target business outcomes. Every organization will have a slightly different set of transformational objectives, with different priorities, but this is a vital first step for organizational alignment. Digital focus. Digital transformation focus is important to establish a customer-centric (outside-in) perspective that drives transformation journeys and continuously adjusts based on changing customer demands. Investment. Investments specifically allocated to digital transformation are critical to fund the large-scale transformational change that’s essential across business models, business processes, products and services. Leadership. Since digital transformation initiatives span traditional business units and silos, affecting all parts of the organization, it takes leadership to make digital transformation a necessity, to enforce behaviors, and to keep programs chartered and aligned with the external perspective front of mind. Culture. 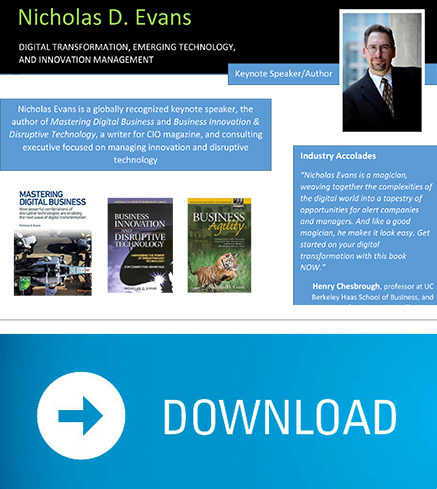 Because digital transformation initiatives require re-inventing and re-designing traditional business models, processes and ways of working, it necessitates an innovative and collaborative culture to enable tolerance and receptivity to risk, to embrace and empower change, and to encourage innovation and experimentation. Digital skills. Digital transformation initiatives require new technologies, capabilities and approaches, so it takes strong digital skills embedded in all strategic areas across the organization to do the heavy lifting with a completely new set of tools and techniques. Digital innovation. Leading practices in corporate innovation are important to identify and accelerate digital transformation initiatives from idea to execution and to provide a mechanism for continuous and collaborative innovation across internal and external constituencies. Change management. Because digital transformation initiatives typically have a broader and deeper change impact than traditional ones, change management programs need to take a more holistic view across a wider range of stakeholders with a richer, ongoing engagement model. Governance. Digital transformation initiatives span traditional business units and silos, affecting all parts of the organization. As a result, effective digital governance is important to promote the right levels of coordination and sharing to minimize risk and cost and to ensure close and continual alignment with strategic priorities. Disruptive technologies. When building the next wave of digital applications, disruptive technologies can be applied in powerful combinations – first as digital experience essentials (with technologies such as social, mobile, analytics and cloud) and then as digital experience enhancers (with technologies such as personas and context, intelligent automation, IoT and next generation cybersecurity) – to create unique new value propositions for customers. Platform business models. Platform business models are compelling because they convert traditional, linear value chains into multi-dimensional value networks. They convert the pipeline business model, where value creation is one-way and subject to bottlenecks throughout the supply chain, into a platform business model where value creation is two-way and continuous. Digital services mastery. Digital services mastery is important because the next step for IT is to consider the “how” as well as the “what”. It’s no longer sufficient to have an innovative set of products or services (the “what”); you have to be a master of how you design, develop, deploy, manage and continually evolve your digital services (the “how”) as well. The six key capabilities of digital services mastery include agile, DevOps, as-a-service infrastructure, intelligent automation, personas and context, and digital service management.